This bike is sooooo SoCal. 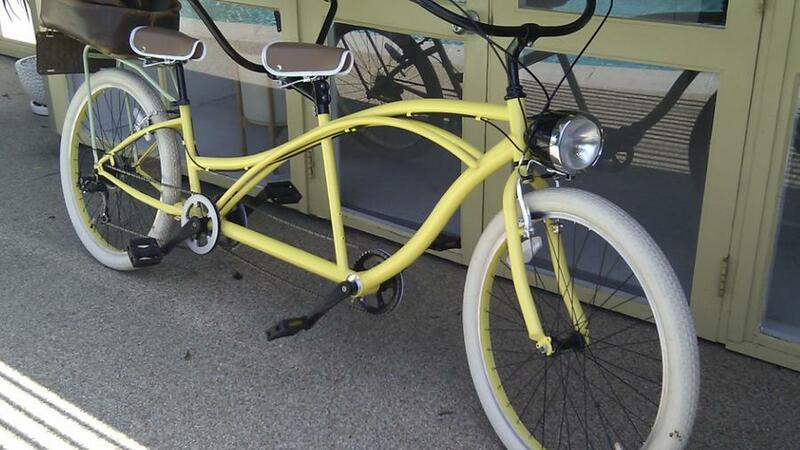 It’s a tandem cruiser from Mode Bikes in Orange County, with a cheery yellow frame, creamy tires, a motorcycle headlamp, and vintage license plate. Quirkiest touch? The old-school leather doctor’s bag turned tail basket—for indulging Dr. Quinn Medicine Woman fantasies on two wheels. That’s our free-spirited SoCal in action.